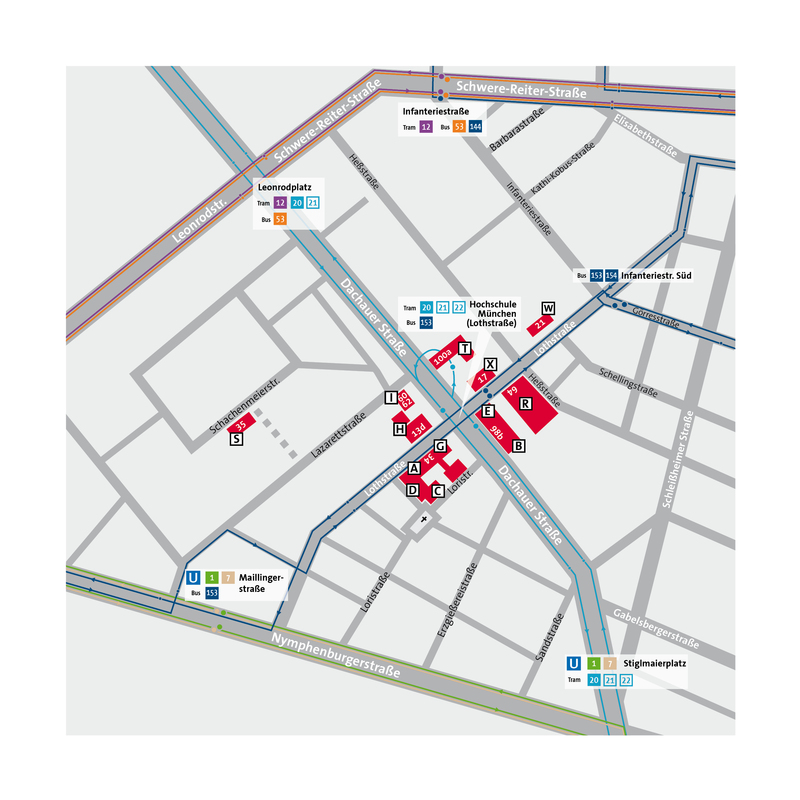 The Department of Tourism is located in the Neuhausen district, northwest of the main railway station at Schachenmeierstraße 35, 80636 Munich (see map for Building S). Unfortunately, there is very limited parking available. There is a fee for all parking in the vicinity. From the stop: follow Dachauer Straße northward, turning left onto Lazarettstraße, then right onto Heldstraße. 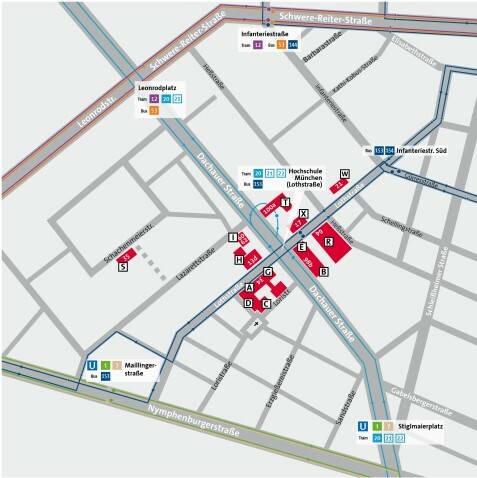 From here, turn left onto Pfänderstraße, then walk along Schachenmeierstraße to the university. The walk from the stop should take approximately 8 minutes. From the stop: turn right from Nymphenburgerstraße into Lazarettstraße, then turn left into Ernst-Henle-Straße, passing by the allotments. Then turn left again into Schachenmeierstraße where you will find the university. The walk from the stop should take approximately 9 minutes.